All of my books are available under a free license that allows anyone to make and distribute modified versions. Some of my books (listed below) have been published by O’Reilly media. Others, many of them works in progress, are available from Green Tea Press. Data structures and algorithms: A data structure is a collection that contains data elements organized in a way that supports particular operations. For example, a dictionary organizes key-value pairs in a way that provides fast mapping from keys to values, but mapping from values to keys is generally slower.An algorithm is a mechanical process for performing a computation. Designing efficient programs often involves the co-evolution of data structures and the algorithms that use them. For example, the first few chapters are about graphs, a data structure that is a good implementation of a graph—nested dictionaries—and several graph algorithms that use this data structure. 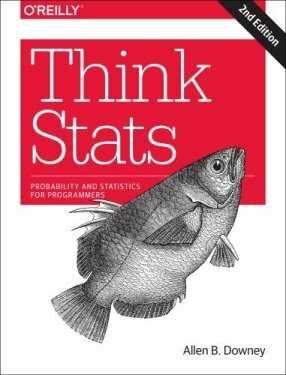 Python programming: This book picks up where Think Pythonleaves off. 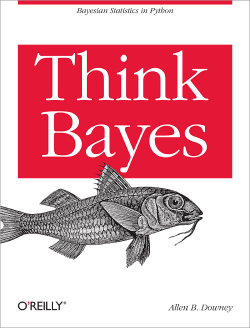 I assume that you have read that book or have equivalent knowledge of Python. 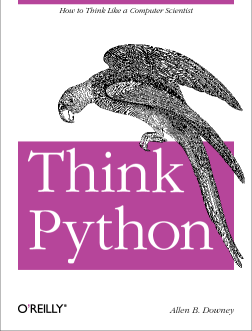 As always, I will try to emphasize fundmental ideas that apply to programming in many languages, but along the way you will learn some useful features that are specific to Python. 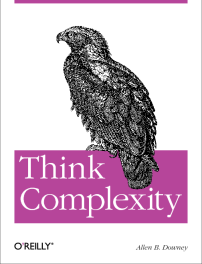 Complexity science is an interdisciplinary field—at the intersection of mathematics, computer science and physics—that focuses on these kinds of models. That’s what this book is about.